I know some people out there are going to say “use your feet as a zoom”, or “if you want wider, step back!” but I’m not a particular believer of those photography phrases. I understand the concept of using just one fixed focal length when shooting. It makes you work with what you have, work within the limitation and forces you to be creative. I often feel that having just one focal length to work with eliminate distractions. Rather that wasting time thinking about what focal length to shoot something at, you concentrate and just think about how you can photograph the subject with the focal length you have. Now having said that, I just love the distorted perspective you can create with an ultra wide angle lens. Maybe it’s just because I love landscapes, and creating inviting vistas and wonder just seem to have more drama with wide angles. Small details can become intricate components in the overall scene, giving you the building blocks to create a more compelling composition. Like the sand ripples in this vertical landscape. 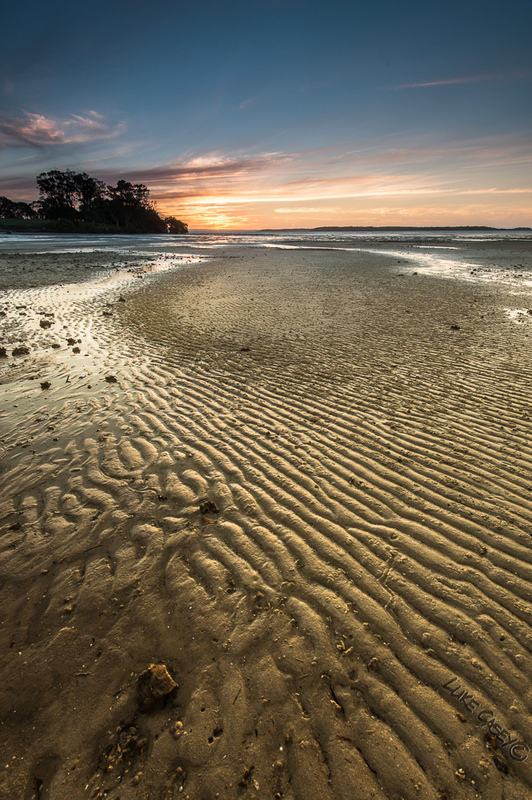 Posted in abstract, artistic interpretation, Australia, Landscape, Nature, portrait, seascape, Stradbroke Island, sunset, techniqueTagged beach, details, Landscape, lines, low tide, pattern, ripples, sand, seascape, stradbroke island, sunset, ultra wide, vertical landsapeBookmark the permalink.